Times Visited: Once ♦ Will I Return? : Yes! I wish someone would just make a restaurant with affordable, healthy, delicious salads, soups and sandwiches. Lettuce: you have read my mind (or, my previously typed words). Order at the counter, fresh, made-to-order salads with sandwiches, homemade soups and daily pasta dishes? Sign me up. I’ve really been looking for Lettuce all my life. Failed attempts include Fresh Choice, Sweet Tomatoes and other salad-based restaurants. 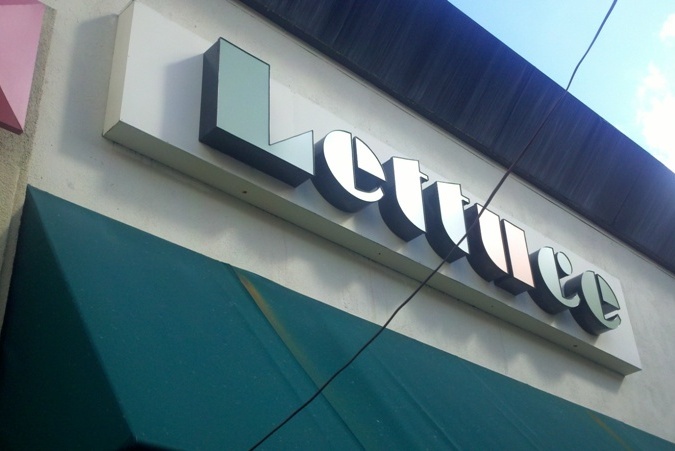 Those places aren’t doing it right; Lettuce is….